It’s 2019!!!! I can’t believe I’m saying that. I hope everybody had a wonderful holiday season and that you are ready to rock n roll in 2019 with goals. I’m excited to see what is in store for us in Southern Utah. There are so many big projects in the works and on the horizon, and I look forward to another year of keeping you updated. Also, if you have a client or know somebody looking to buy or sell a property, we’d love to help them get it closed. Send them our way and we’ll make sure they’re taken care of. Happy New Year! Nothing Bundt Cake coming to town!!! Not sure where yet but being told its confirmed coming. Commerce Pointe- dirt’s being moved off exit 6 for this development. I don’t have any confirmation what’s going there just yet, but it should be very, very soon. Ventana Ridge- roads are being paved and things should start happening over the next little bit. I don’t have confirmation of anything at this point other than it will be residential AND commercial. Should be an exciting addition to Little Valley! Crimson Corner- the first building should be going up soon. They’ve got a café, bakery, and now an ice cream creamery that will supposedly have BYU and Utah state creamery ice cream. Construction should begin soon! Woodland Estates- new signs are up behind Lin’s for Woodland Estates that’ll be a mixture of patio homes, townhomes, and apartments. Dirt should start moving this month! Revere Health- a new 68,000 square ft multi-specialty center broke ground that will be huge for health care in Southern Utah. It is going just north of the Lin’s in the fields and should be completed in 2020. RV Park- dirt being is moved for an RV Park right off the freeway by exit 13, just down from the new Black Bear. No details on completion yet but should be starting construction in the coming months. Bone Appetit now open! In the same complex as Harmon’s. Kenworth Truck Sales Company– the plat map has been recorded and dirt is being moved for their new facility off exit 2. It’ll be just east of the Paparazzi building along the freeway, north of the overpass. Construction should begin soon! Desert Corner- exciting news for people that live in the Desert Canyons development out by the airport. The first commercial spot is going up at the entrance of the neighborhood, just off the freeway exit. 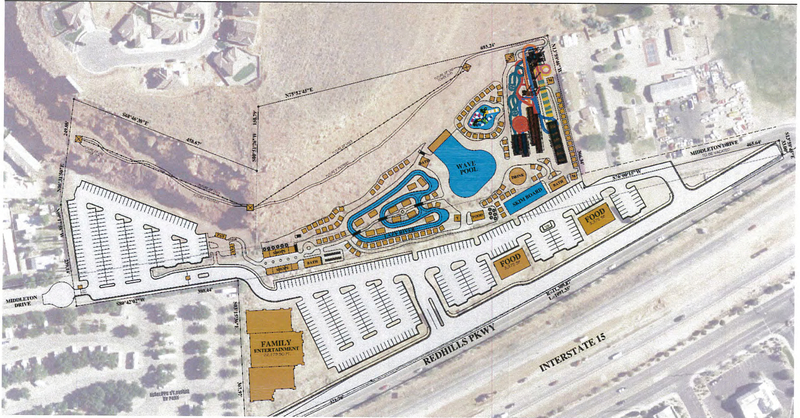 It will be a building similar to those at Desert Hills Plaza and so far they’ve signed a pizza restaurant, and are looking for a coffee/drink shop, a Mexican restaurant, and other fast food. Big time news for this area! Sakura- a new Sakura is in the works just off the Blvd. freeway exit behind Bracken’s auto and next to Desert Coach. It was supposed to be AMAZING. Will keep updated as I learn more. Zupas- After a few years of wanting and waiting, we are finally getting a Zupas in St. George. They are taking over the old Brick Oven building on the corner of St. George Blvd. and River Rd. They are planning to open in 3 to 6 months! Bonza Dry Cleaners- now open. Dino Dash Car Wash- now open. SWIG! Construction should begin soon. Mountain America Credit Union- open. Simister Ortho and Riverside Dental– now open! New retail/restaurant building- signs just went up for a new retail and restaurant building in between Simister Ortho and Mountain America at the Fields at Mall Dr. complex. Pizza Hut and Tropical Smoothie have been confirmed, with 3 other spots to fill. Construction should begin soon! Commercial plaza- A new professional commercial plaza will be underway in the near future. It is directly north of Lin’s out in the fields. Stay tuned for updates! H&M– just opened last month right in time for the holidays! This will be a huge addition for Red Cliffs Mall. Neto’s Bakery- this is also in the Sunset Corner Complex across from Starbucks and they have AMAZING food. Barney Trucking Facility- now open. Martin Warehousing cold storage facility- now open. Swiss Bank Storage– adding 120 storage units to their facility as well. Bike Park- Snake Hollow is now open! Maverik- not sure how I missed it but a new Maverik got built last month and it’s already open. It’s on the corner of State Street and 100 East as it bends toward La Verkin. Gateway Plaza- a second building is currently under construction right now behind the first building (where Hurricane Family Pharmacy is on State Street). Should be finished in quarter 1 of next year. Stay tuned for updates! of lots being developed right now as well, so we should be seeing more and more come available the next few months. Here is what was recorded last month!